The July 31 edition of the London Review of Books has published several interesting articles focusing on two recent books, both of which offer some intriguing insights into the West’s engagement with Middle Eastern Muslim cultures in the twentieth century. As the LRB‘s Roxanne Varzi notes, Gillian Whitlock’s Soft Weapons: Autobiography in Transit is a fascinating exploration of modern Middle Eastern autobiography, that demonstrates how the genre has been used in Western society as a window into an often inaccessible culture, but perhaps more often is appropriated and commodified by Western culture to serve its own interests. In her article Varzi focuses on the latter phenomenon writing: “You shouldn’t overlook the what Gillian Whitlock in Soft Weapons: Autobiography in Transit, calls the paratext: the liminal features that surround the text, not just the book’s jacket and typeface but interviews with the author, reviews and commentaries. It is in transit, as commodities, that these narratives, which Whitlock calls ‘veiled memoirs,’ are shaped by and for the public. Whitlock reproduces an Audi ad that shows , outfitted in a cream suit, floating among shelves of books in a library (a library that contains no contemporary . 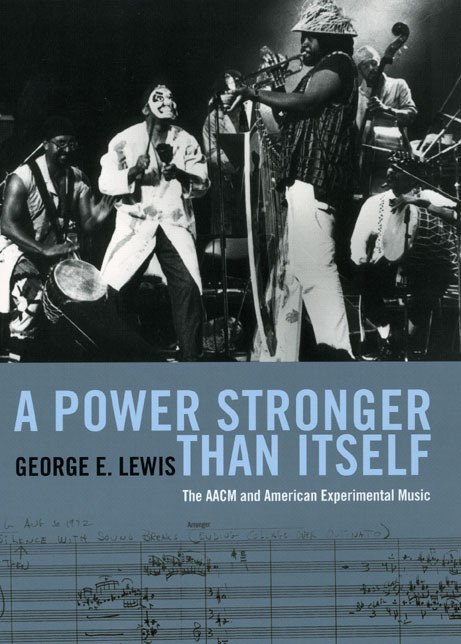 . .
Jazz critic Kevin Whitehead reviewed George E. Lewis’s new book A Power Stronger Than Itself: The AACM and American Experimental Music for the July 29 edition of NPR’s Fresh Air. In the review, Whitehead outlines the book’s captivating scholarly portrait of the Chicago avant-garde jazz collective known as the Association for the Advancement of Creative Musicians, which, since its inception in 1965, has counted among its ranks internationally acclaimed artists such as Anthony Braxton, the Art Ensemble of Chicago, and Muhal Richard Abrams, and gained world wide recognition as one of the defining forces in the avant-garde jazz scene. Listen to the archived audio on the NPR website. 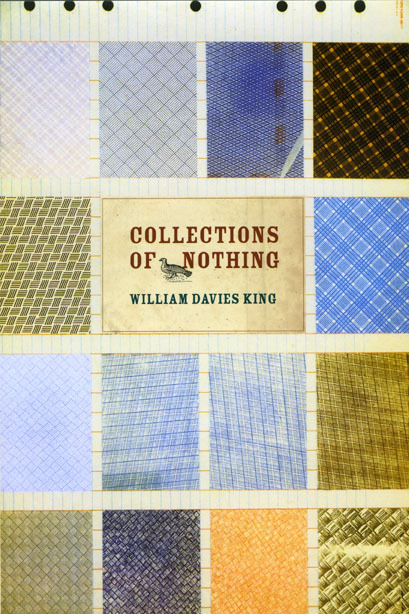 Also, read an excerpt from the book. . . .
Henry Alford reviewed William Davies King’s book, Collections of Nothing, in Sunday’s New York Times Book Review. King, writes Alford, inspires a certain wariness in the reader: We’re talking about a man who once collected worn strips of masking tape that he pulled off the floor of a gymnasium, a man who collects the business cards of business card printers, even though he himself carries no business card.… Part memoir and part disquisition on the psychological impulses behind the urge to accumulate, Collections of Nothing is a wonderfully frank and engaging look at one man’s detritus-fueled pathology. King’s honesty and ambivalence about his pastime only increases his emotional connection to the reader. I wanted, by turns, to breast-feed and strangle him. King believes that the impulse to collect comes “partly from a wound we feel deep inside this richest, most materialistic of all societies.” But he also considers other possibilities—”It finds order in things, virtue in preservation, knowledge in obscurity, and above all it discovers and even creates value.” His own fondness is for “the mute, meager, practically valueless object. … What I like is the potency of the impotent thing, the renewed and adorable life I find in the . 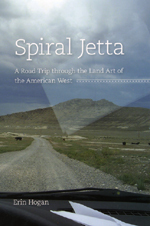 . .
A great review of Erin Hogan’s Spiral Jetta: A Road Trip through the Land Art of the American West appeared in yesterday’s New York Times Book Review. Reviewer Tom Vanderbilt has traveled some of the same Western highways as Hogan in his search for atomic bomb sites. He appreciates Hogan’s candor about her quest to see the monuments of American land art—works like Robert Smithson’s Spiral Jetty, Nancy Holt’s Sun Tunnels, and Walter De Maria’s Lightning Field: A prototypical urbanite, surrounded by friends and noise, Hogan says she was beset by an “early midlife crisis,” wondering if there wasn’t more to life than meetings and e-mail. “I wanted to learn to enjoy being alone,” she writes. And as a “recovering art historian,” she longed to experience works she had only known refracted through art criticism and seminar slide shows. So Hogan packed up her Volkswagen Jetta and headed west.… I can attest to the anomie of motels that still advertise color TV, the dread of cracked roads with “No Services” signs, and the difficulties in being the only stranger in a bar. As a woman alone—Thelma sans Louise—Hogan faces this even more intensely. She tells a tale, by turns humorous . . .
William Davies King makes no bones about it: he’s odd. And his collections are odder: loops of wire, skeleton keys, seafood tins, water bottle labels, envelope liners, strips of masking tape, canceled credit cards, boulders—and that’s just for starters. You might call it junk, but to King, it’s a very special sort of nothing. Suffice it to say, no one on earth has a garage quite like his. King’s unusual collections reflect his belief in the intrinsic value of the discarded, unwanted, and ephemeral—but as he makes clear in Collections of Nothing, the urge that drives his hoarding is not all that different from that which leads a more typical person to prize uncanceled stamps or pristine sets of baseball cards. Both an affecting memoir and an idiosyncratic examination of the desire to accumulate, Collections of Nothing takes us deep inside the soul of the solitary collector. King’s life story is deftly interleaved with his insightful meditations on the nature of the acquisitive mind; the result is a book that defies categorization, a unique hybrid that will speak to anyone who has ever found himself bitten by the collecting bug. Read the press release. Also, read an excerpt and an . . . 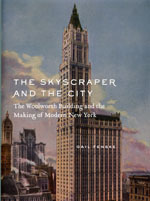 The New York Time‘s City Room blog published a post this morning on Gail Fenske’s new book, The Skyscraper and the City: The Woolworth Building and the Making of Modern New York. City Room contributor Sewall Chan writes: The book provides a new perspective on some of the most notable aspects of the Woolworth Building, like its eclectic design—Beaux-Arts with Gothic ornamentation, over steel-frame engineering.… Its Gothic gestures suggested comfort, “moralizing evocations” of the old world from which many of Woolworth’s customers had come, by turning to Beaux-Arts design, Professor Fenske writes, Gilbert and Woolworth “resisted the forces of sensationalism and spectacle” associated with advertising and mass culture.… Summarizing the legacy of the Woolworth Building, Professor Fenske writes: “Woolworth and Gilbert’s project represented in the eyes of contemporaries more than a vulgar contraption for producing a profit, and more than a dubious expression of corporate power, egregious advertising, or an aggressive assault on New York’s new signature skyline.” As the building approaches its centennial, she argues, New Yorkers should recognize not only its “aesthetic distinction” but also how “it reflected and refracted the many dreams and obsessions of the urban society that produced it.” Read the full posting on . 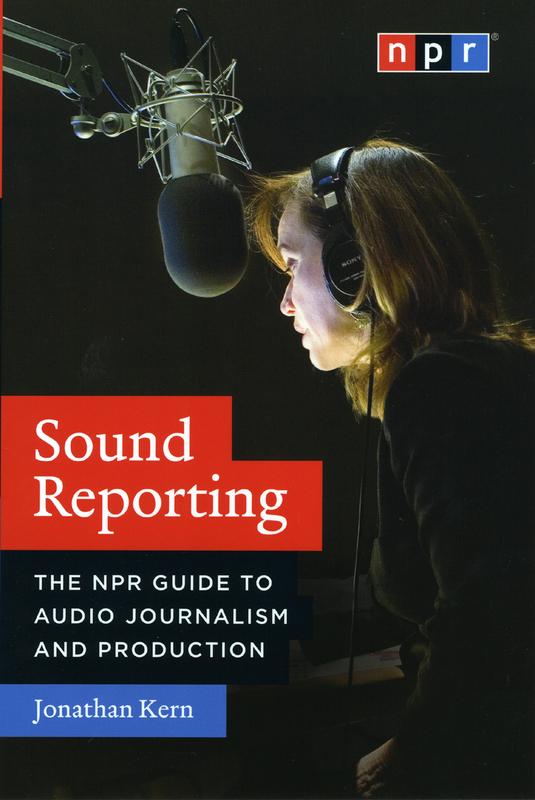 . .
Jonathan Kern, author of Sound Reporting: The NPR Guide to Audio Journalism and Production, was a guest last Sunday on NPR’s Weekend Edition. On the show Kern joined host Liane Hansen in an interesting discussion about broadcast journalism and the phenomenon of the “driveway moment,” which the NPR website explains as “a term used to describe a radio story that keeps you in your car after you’ve reached your destination, just to listen.” You can find a podcast of the show at the NPR website. Also read an excerpt from the book. . . .
Colin Marshall of the Santa Barbara Independent talked to of William Davies King last week about his new book, Collections of Nothing. From broken folding chairs to soup labels, as Marshall writes, “King’s are collections of nothing, that is, things of no outward value.” Yet through the act of gathering, organizing, and displaying these objects, King finds them imbued with a deeply personal significance: “It comes out of a 20th-century vocabulary of art, going back to Dadaism, which was an art that believed in nothing” King said. “My own education led me to the Dadaist artists and their strange, often outsider art that was alert to the idea that emptiness of meaning might be as expressive and ‘true’ as art that purports to be full of meaning. I searched for artwork that would express my own anxiety in the face of the modern world’s questionable values. I think anxiety takes the form of nothingness: it’s this strange void within you that never seems to get filled up.” Read the article on the Santa Barbara Independent website. 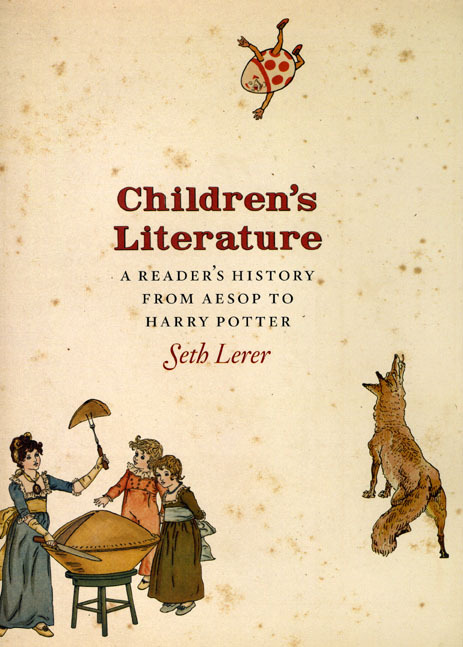 We have an excerpt from the book and an essay by the author. . . .
Seth Lerer, author of Children’s Literature: A Reader’s History from Aesop to Harry Potter was a featured guest yesterday on WGN radio’s Extension 720 with Milt Rosenberg. On the show, Lerer engages Rosenberg in a fascinating discussion of the history of children’s literature and its indelible influence on young readers. Listen to the archived podcast on the WGN website. Lerer’s book was also mentioned in an article in yesterday’s New Yorker about NYC librarian and critic Anne Carol Moore who, during the early part of the twentieth century, played an important, yet controversial role in bringing children’s literature into the mainstream of American literary culture. Read the article online at the New Yorker website. Also read an excerpt from Lerer’s book. . . . The Sunday edition of NPR’s All Things Considered included a segment on Anne Whiston Spirn and her book, Daring to Look: Dorothea Lange’s Photographs and Reports from the Field. 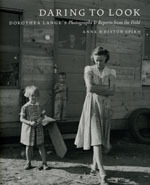 The NPR story begins where almost every mention of Lange begins, with the photograph titled “Migrant Mother.” Spirn explains why Lange took that photograph and similar images that showed the destitute during the 1930s. Spirn also discusses her favorite Lange photograph, “Migratory Children Living in ‘Rambler’s Park,'” in which a roll of linoleum figures prominently. We have an illustrated excerpt from the book. . . .